Gearbox CEO and accomplished magician Randy Pitchford, Jr. recently took to the stage at PAX East 2019 to unveil the company's brand new tabletop game. 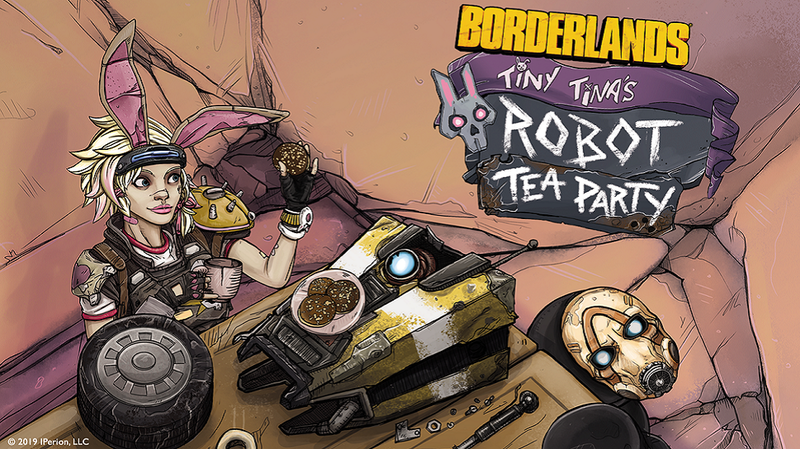 Called Tiny Tina's Robot Tea Party, the latest Gearbox experience is a new card-based game set in the Borderlands universe and drenched in the oftentimes-zany comedic style of the Borderlands canon. On-stage, Pitchford quickly fired off some details about the game while engaging the crowd in an amusing illusion. We know that the game will have several different card types, including hat cards like the Wizard's Hat, Sheriff's Hat, Pirate Hat, and others. There are 80 cards in total, which allow the game to be played by between two and five players in 15-minute rounds. Beyond a colorful variety of hats, other special cards were detailed, including one where players can look at seven cards and choose the one card they desire, plus one called Tina's Party Foul that can block an opponent's next move. Apparently that will be helpful in cutting players off from game-winning scenarios or plays, which certainly gives the game a rather competitive sort of feel. The Gearbox crew also had plenty of great reveals for players keen on digital experiences: Borderlands 3 was finally revealed, and both Borderlands: Game of the Year Edition 2019 and the 2019 update of Borderlands: The Handsome Collection were also announced, offering new 4K and HDR-enabled options for players with the requisite hardware and displays. 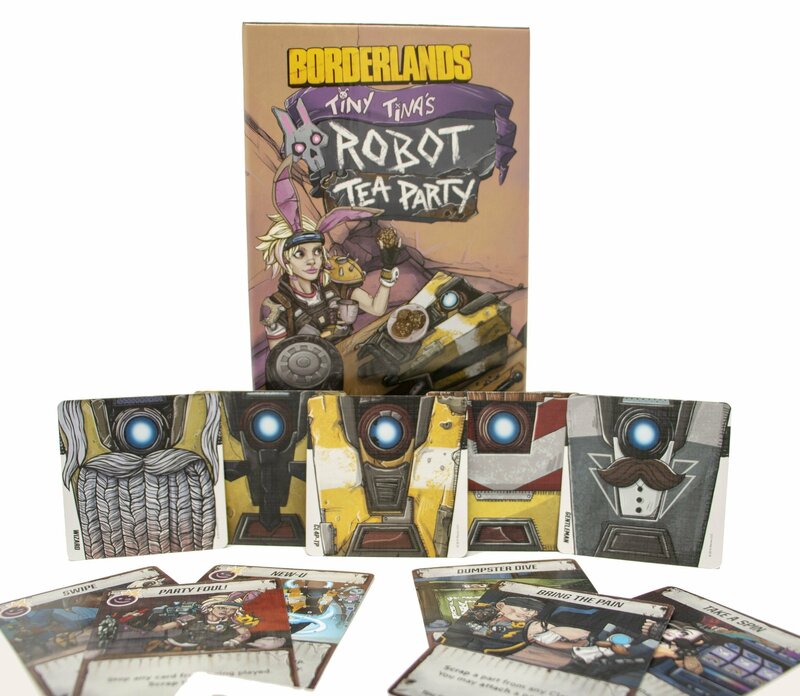 More information about Gearbox's latest tabletop card game can be found over on the official Tiny Tina's Robot Tea Party website. For more PAX East 2019 news coverage, be sure to keep your browser locked right here to Shacknews. Sorry about that! It was a feed of the Gearbox presentation. As far as I can see, there's no official video for the game just yet, so we've swapped it out for an image of the game itself.